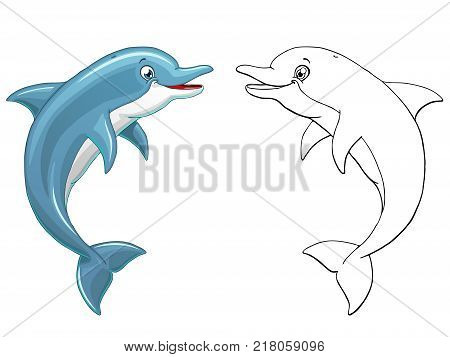 The lovely cheerful smiling dolphin jumps over water colorful and outline. Cartoon vector illustration isolated on white. Page of a coloring.